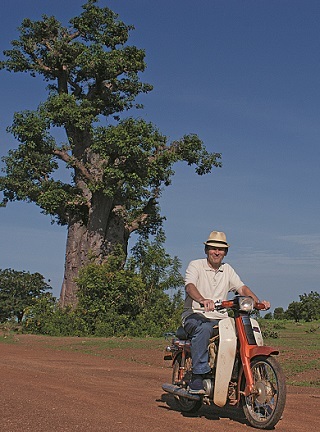 Chris Brazier goes back to Sabtenga, a village in Burkina Faso, in west Africa. He has visited the village every 10 years since 1985. When I first came to Sabtenga, in 1985, I was with a film crew in a vehicle carrying equipment. In 1995 I went back alone and I walked everywhere. I walked four kilometres to the town of Garango and a long way every day around the village. In 2005 I stayed in Garango and I bought a bicycle in the market to travel to and around the village. I gave away the bicycle at the end of my trip. This time the very good local NGO Association Dakupa gave me a car. I was 30 in 1985 and was in Sabtenga for the summer. I was a new journalist for New Internationalist and they asked me to find a woman farmer to tell her story for our TV film Man-Made Famine. I went to find a woman farmer in Burkina Faso but it was in the middle of a revolution. So my director helped me to find someone in Sabtenga, a village in the southeast near the border with Ghana and Togo. I was not a very helpful member of the film team so I walked around the village with a young woman, Mariama Gamené. She was from the local Committee for the Defence of the Revolution. And she learned enough French at school to be my interpreter and guide. 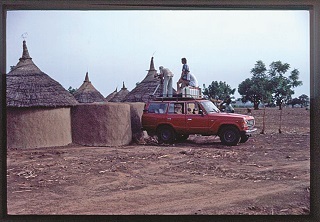 The life in the village was as different as possible from life in the West. 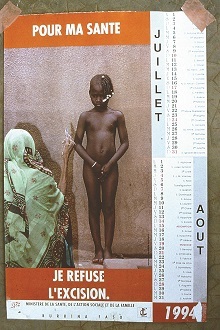 The people lived by farming in the difficult earth of the Sahel region. Most people did not have animals to help them in the fields. They worked by hand. They carried water a long way on their heads. In most families the man was head of the family and had more than one wife. The village did not have a school or a health centre. This was a village that did not ‘develop’ in the way we talked about it in our New Internationalist magazine or at the United Nations or the World Bank. The life in the village was very, very different from in the West. But I was very surprised to find that the people at home were very similar to the people in Sabtenga. The ideas of global justice and equality were very important to me. But I thought at that time that all Africans were poor, hungry, and at war, etc. I understood now that everyone had their own story to tell about making enough to live and having help from family and friends. So I could make friends. Of course, Mariama helped me to make friends. She gave her time and was open in talking to me about her own life and ideas. She was popular in the village and this helped me as a young journalist. My time in Sabtenga in 1985 changed the way I looked at the world and what I wrote in the next ten years. But I wanted to do more and I asked New Internationalist to send me back in 1995, to write about changes in the life of the village. It was impossible to write letters to the people in the village so I had no idea what I would find or if the people were still alive. 1985 was a difficult time, when there was no rain and there was almost no food. 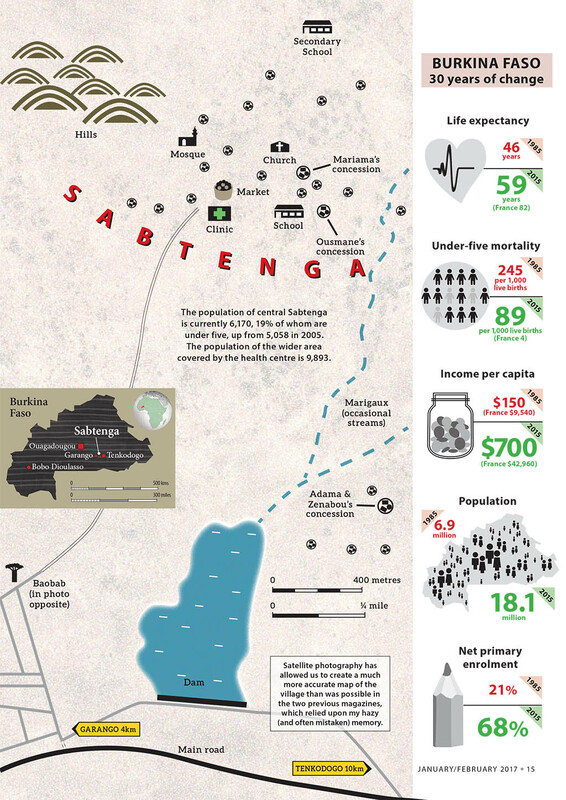 All kinds of problems seemed possible when I read about Burkina Faso’s poverty and health. And the new and corrupt president, Blaise Compaoré murdered his friend, Thomas Sankara in 1987 and then there was no hope of equality in the revolution. But the important people I knew were all alive and well and there were many positive changes to write about. There was now a school with three classrooms. It had around half of the places needed but it was progress. There was now a health centre with a nurse, and his wife as an assistant. They were helping the mothers and babies. 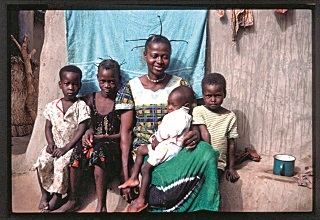 Mariama delivered many of the babies and earned some money as a full-time assistant health worker. She had no training but learned on the job. She was now 38 and had seven children. She told me10 years before that she wanted no more than the four children she had at that time. She wanted to do more with her life. But her husband Issa said that having more children would offer more help in the fields and more help in old age. And there was no contraception until the early 1990s. 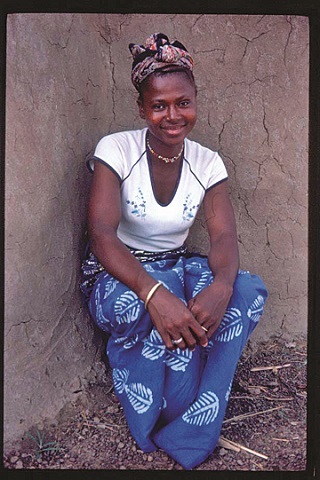 The biggest and most hopeful story in 1995 was about Mariama’s life. She was the first and only mother in the village to protest against female genital mutilation (FGM). She did not allow her oldest daughter Memnatu to have FGM as she had. I went back very worried about this. Would her husband or the village have forced her to have FGM? Would one of the old ‘wise women’ have cut Memnatu? But the ideas in the village were now changed. Memnatu and her sister Aseta were not cut. This was because of pressure from women like Mariama and government information about the terrible effects on health of FGM. In 2005 there were a few mobile phones in the village. But people had to go all the way to Garango to charge them. So when I went back in 2016 I could text Mariama to tell her that I was on my way and when I would arrive. But I am nervous about what I will find in the village as I make the dangerous journey on the motor scooter across one of the streams from the rains. Now I am back again. What changes will I find in people’s lives? This page was last edited on 8 January 2017, at 22:49.